This entry was posted in General on August 24, 2017 by Blaine Fergerstrom. 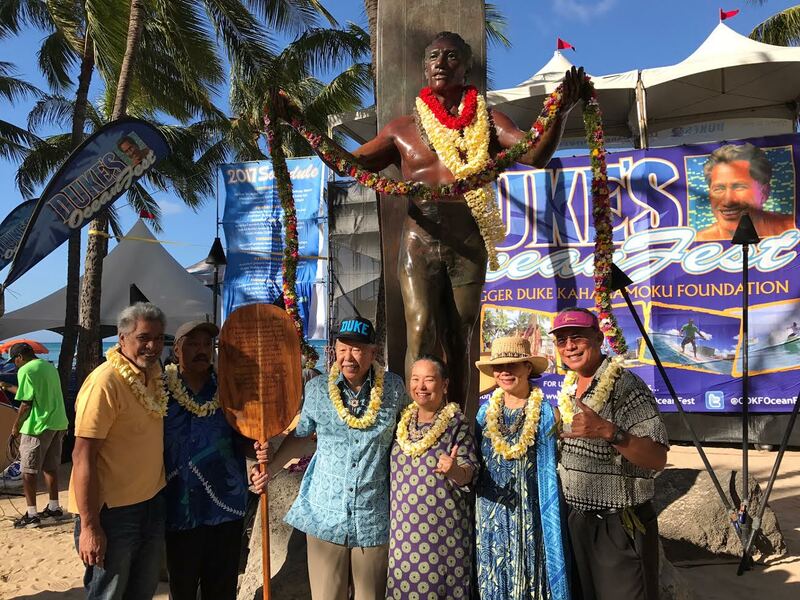 Honorees were Aunty Gladys Rodenhurst, Uncle Ike Kaaihue, and Malia Kaaihue. We are especially proud of their recognition of KPHCC member Malia Kaaihue for her “contribution to community and the overall betterment of our lahui.” Congratulations, Malia! Congratulations, King Kamehameha HCC on your 50th anniversary! This entry was posted in General on August 19, 2017 by Blaine Fergerstrom. Another beautiful day in Hawaii nei. Strains of authentic, beautiful Hawaiian music kept us enchanted throughout the day as we sold our lemonade and cookies at the Second Annual Papakole’a Paina. Our tents were positioned in the right spots to enable us to hear Pomaika’i Lyman and the Keawe ‘Ohana, Keauhou, Kuana Torres Kahele, and Natalie Ai, and the Hawaiian Food was da bomb! Star sellers of our lemonade were Sherry Campagna and her young son, Leo, with Kaimo and Lei who sought out customers in the entertainment area. All-in-all a good day, with nearly all of our lemonade sold! Mahalo to Juanita and Bob for their ono lemonade; Ihilani and Kaiona for the delicious cookies; and all of our volunteers, Kaimo, Ladd, Betty, Joe, Sherry, Leo, Lei, Pikake and Thomas, and Ladd’s friend, Paul Neves. Lilia Kapuniai and the Papakolea Community Development Foundation sure know how to throw a Paina! Count us in for 2018!